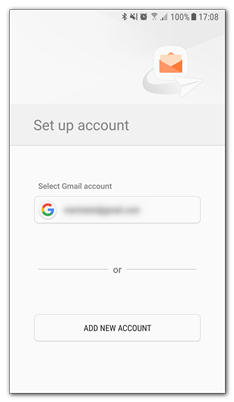 In this guide we show you how to set up your email account with Mobile Sync (Exchange ActiveSync), in the Samsung app on your Android device. 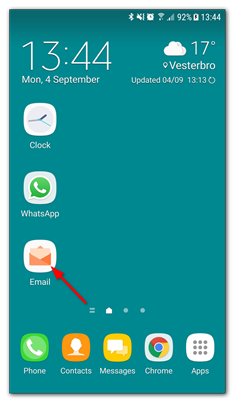 The advantage of Mobile Sync over IMAP is that, besides your email, it also syncs your contacts and calendar. 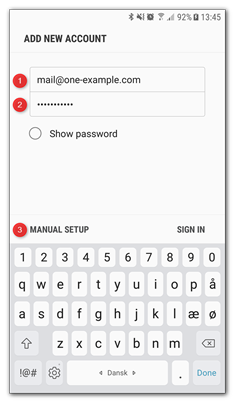 Note: If you already have another account set up, first tap the menu in the top left corner and next the gear icon, to open settings. Then tap Add account. 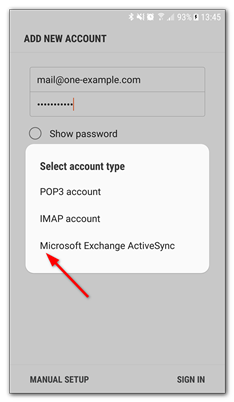 Select Microsoft Exchange ActiveSync as account type. 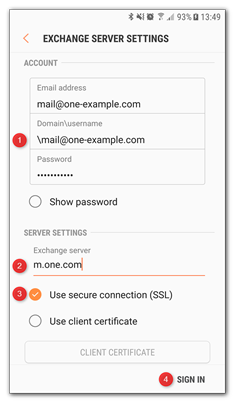 For Domain\username enter your email account with a "\" in front, like this: \mail@one-example.com. Make sure the box for SSL is checked. Your account is now set up. 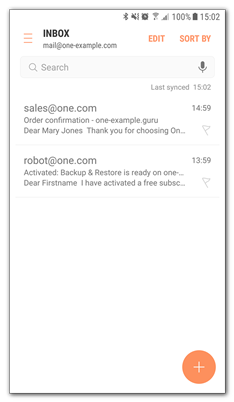 It may take a while before all emails and folders are synced and available on your device. Tip: Your calendar has been added to the calendar app and will be synced, unless you disable it. Your contacts have also been added.